You must look at Steven Gambrel's book Time & Place. It's the most beautiful interior design book I've ever viewed. I'm so inspired by his interiors because they are gorgeous and interesting. (Just like my husband!) Good design is not a luxury. Having a soothing, inspiring, interesting home is essential to living well. 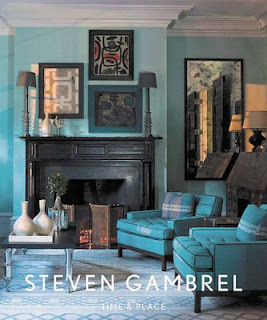 After I make my first billion, I'm going to hire Steven Gambrel to design our house!